Mike Rafferty was a native of Ballinakill, East County Galway, Ireland. 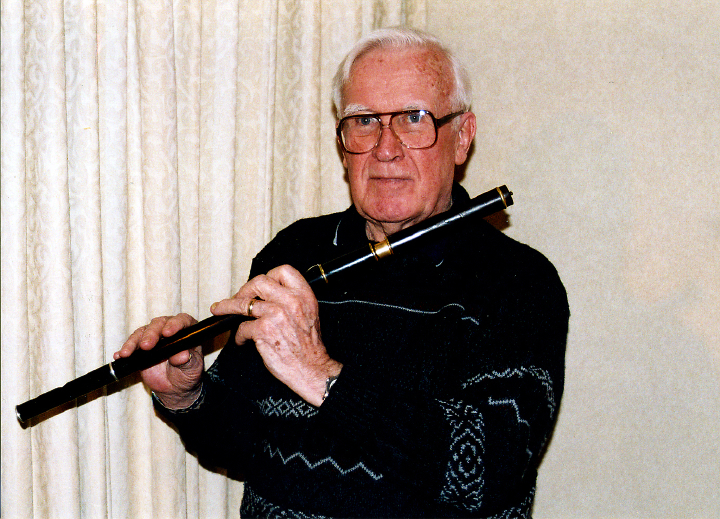 While growing up on a small farm, he learned to play the flute from his father, Tom “Barrel” Rafferty, whose nickname referred to his lung power. 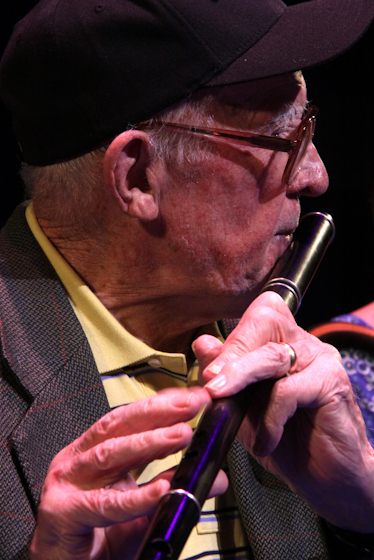 Mike Rafferty also learned to play the tin whistle and the uilleann pipes, the national bagpipes of Ireland. As a teenager, he began playing with bands at ceilis, social gatherings featuring music and dancing. In 1949, Rafferty immigrated to the United States, where a sister was already living. He settled first in White Plains, New York, and later moved to New Jersey. While raising five children and working two jobs, he had no time for music. But in the 1970s, with the encouragement of other musicians, he began playing again. 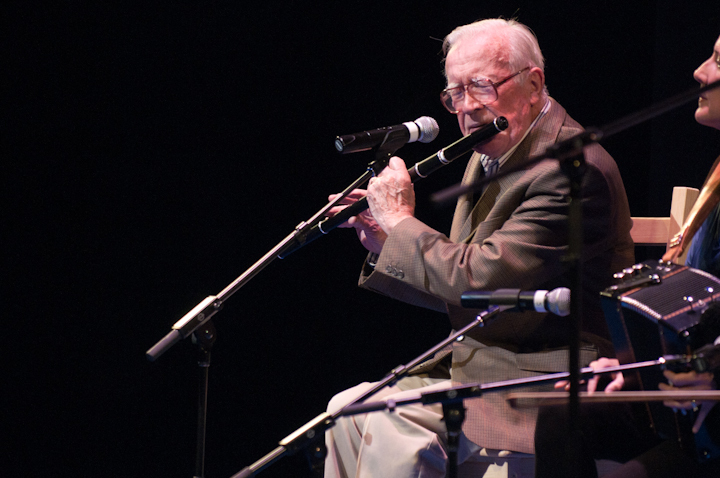 He was invigorated by performing at the 1976 Bicentennial Smithsonian Folklife Festival in Washington, D.C., and, three years later, toured with Green Fields of America, the premier Irish music and dance group. 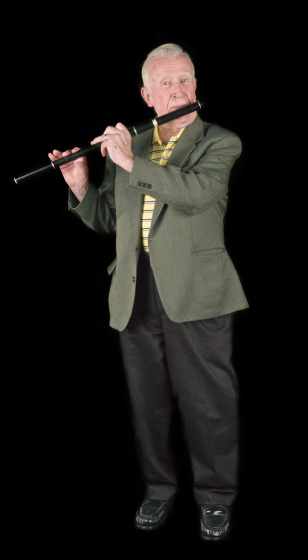 After retiring from his longtime job with a grocery chain in 1989, Rafferty was able to devote more time to music. With the encouragement of his wife, Teresa, he began teaching, though he found that he lacked the patience to teach beginners. “They bring their tape recorders and I put on the tune for them,” he said of his students. “I show them like my father showed me, and they get used to me after a little while and they pick up the tune rather than read it out of a book. It’s faster this way. You can learn a tune much faster.” Two books of transcriptions of his tunes have been published. 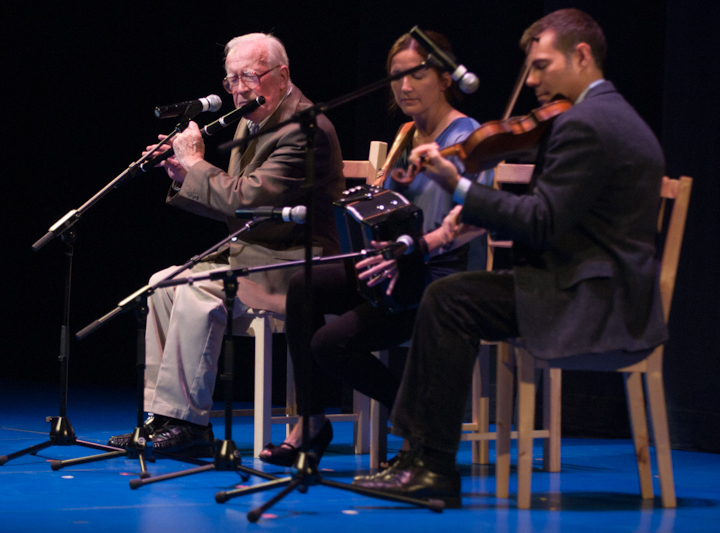 Rafferty also taught in a number of public venues, including the summertime Catskills Irish Arts Week, and through the New Jersey State Council on the Arts Folk Apprenticeship Program. 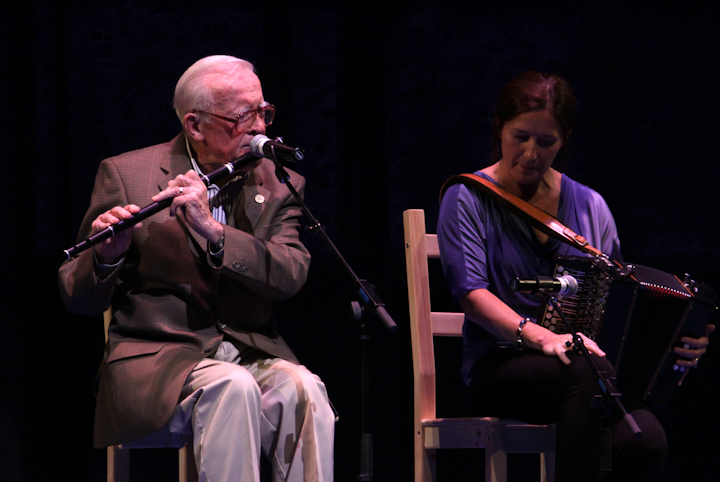 Among his most successful students is his daughter Mary, an accomplished flute and accordion player who also studied with the late Martin Mulvihill at his school of Irish music in New York City. Rafferty recorded with her and with her husband, guitarist Dónal Clancy. 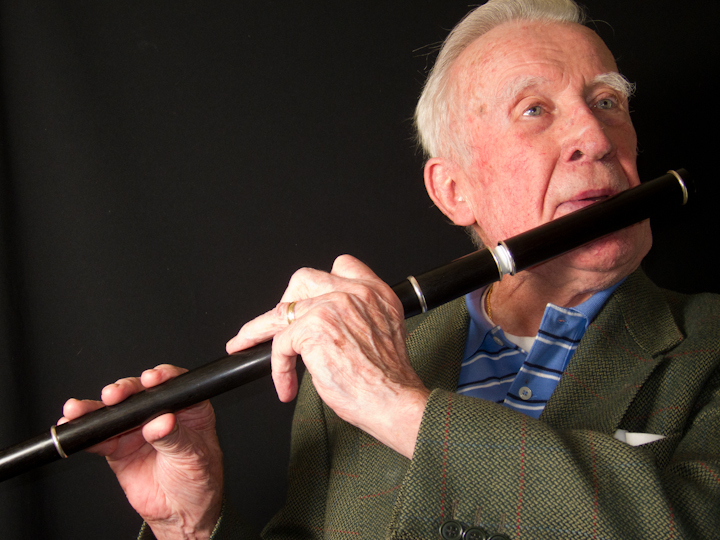 The veteran musician played in the lyrical East Galway style, which he described as slower than the styles played in other counties when he was growing up. “You’ll hear a lot of players saying: ‘Well, I’m playing for the dance, and you have to play it fast,’ ” he said. “And it gets into your bloodstream. You’ll play it fast all the time. My ambition is to play it slow. You’re pronouncing it better, you’re getting more feelings, you’re getting more satisfaction, there’s more fun in playing, anyway. You put more body into it, as Joe Madden would say.” Madden, a button accordion player, was a close friend, and a branch of the Irish traditional music organization Comhaltas Ceoltóirí Éireann bears the names of both men. Harker, Lesl, ed. 300 Tunes from Mike Rafferty. Harker (2005). Hitchner, Earl. “Pitch-Perfect Player: East Galway native Mike Rafferty’s playing the flute better than ever.” The Irish Echo (March 12-18, 2003): 56+. Mike Rafferty. Speed 78. CDBY 2005. Willie Kelly and Mike Rafferty. New Broom. CDBY 2009.